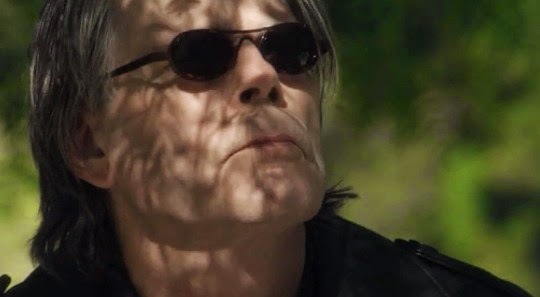 While Stephen King is undoubtedly the modern master of the horror novel, he’s certainly not the first, last, or the only author of chilling horror stories. 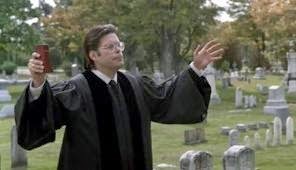 After all, where would horror fiction be without the vampire, the werewolf, the man-made monster, and a good smattering of witches, ghouls and ghosts? 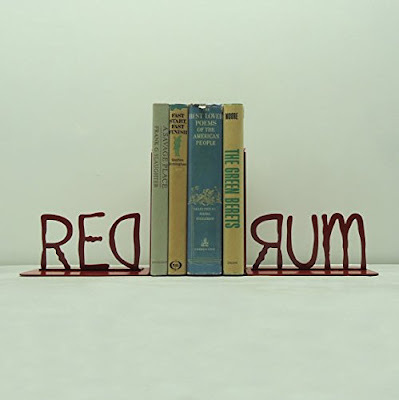 So, to celebrate the rich history of the horror yarn, here are ten of the most popular classic horror novels of all time that Stephen King didn’t write. The book that spawned thousands of films, stage plays and inspired countless other horror novels, Bram Stoker’s Dracula is still one of the most popular classic horror novels more than 100 years after its publication in 1897. While on a business trip to Count Dracula's castle in Transylvania, Jonathan Harker, a young lawyer, encounters three phantom women and catches sight of Count Dracula transforming from a human into a bat. Harker escapes Dracula’s castle and returns home to England. Count Dracula also travels to England, in search of new blood, but his ship round aground near Whitby, England. First, the crew of the ship disappears, and then Dracula goes ashore and begins stalking the residents of the town. When Abraham Van Helsing, is called in to investigate the strange maladies of some of the townsfolk, the Vampire hunt begins. Bram Stoker’s Dracula is dark story full of foreboding and atmosphere. Count Dracula actually makes very few personal appearances in the book, but his dark presence is ever near. Dracula is a great book to read on a dark winter’s night on your own, but it was written more than 100 years ago, so the language can be a bit hard going at times. Persevere, though, and you will learn why Bram Stoker’s Dracula is such a horror classic. There are very few horror monsters that have captured the public imagination quite like the grotesque and anguished creature in Mary Shelley’s Frankenstein. 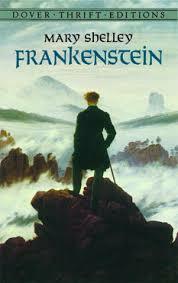 The book was first published in 1818, but it had been started a couple of years earlier when Shelley was just 18. Frankenstein was written when Mary Shelley, then Mary Wollstonecraft, her husband to be Percy Shelley, John Polidori, and Lord Byron decided to have a competition to see who could write the best horror story. The book, which is as much a science fiction story as it is a horror novel, is thought to have been inspired in part by Shelley’s earlier visit to the real Frankenstein’s Castle in Germany, where centuries before, an alchemist had conducted his experiments. Considered to be one of the most influential Gothic novels, Frankenstein tells how Dr. Victor Frankenstein creates life, but finds that the being he creates is far from the perfection that he was seeking. Revolted by the monster that he has created, Frankenstein abandons the creature, but Frankenstein’s monster does not want to be ignored; it wants happiness and it wants a female companion. 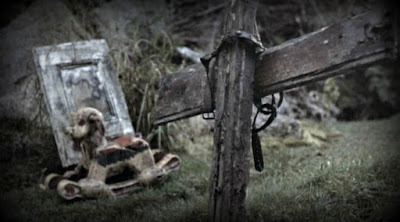 Frankenstein is a very dark tale that explores self-loathing, obsession, and the rights and wrongs of trying to play God. The monster that Frankenstein creates is grotesque and horrific, but it is also abandoned and shunned through no fault of its own. Frankenstein is written in epistolary form, through an exchange of letters between two of the characters, which is a format that some people might not like. However, once you get into the story, you soon get used to the format. Mary Shelley’s Frankenstein is a classic horror novel that will chill you and, as we enter the age of robots, genetic engineering and artificial intelligence, a book that is surprisingly relevant today. Often seen as a tale of the struggle between the good and evil that is within us all Robert Louis Stevenson’s The Strange Case of Dr Jekyll and Mr Hyde was first published in 1886. The book was a huge success when it was first published and it is still one of the most read of Robert Louis Stevenson’s books today. Doctor Jekyll and Mr Hyde is a gothic novella about science gone very wrong. When Dr Jekyll develops a potion that transforms him into the evil, self-indulgent, Mr Hyde, he initially finds his conscience-free alter-ego liberating. However, when the transformations become involuntary, Jekyll finds himself increasingly torn between his two personalities. Ultimately, Jekyll realises that he will eventually become the evil Mr Hyde for good and he knows that he will either be executed for his crimes, or he will have to take his own life to stop the horror. There have been many stage and screen depictions of the horror classic Doctor Jekyll and Mr Hyde, but they really don’t even scrape the surface of the depths of the book. 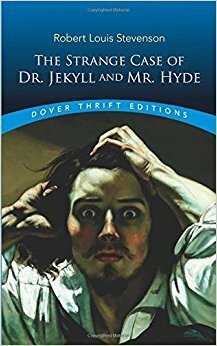 The struggle that ensues between the two opposing personalities of Jekyll and Hyde and the moral questions that the story raises make this a riveting read. Much of the story of The Strange Case of Dr Jekyll and Mr Hyde is conveyed in the form of letters, as was the case of many books of that time. In this particular case, that actually makes the story all the more engaging. Whether you read Dr Jekyll and Mr Hyde as a commentary on the duality of man, the folly of science, or even as a warning against substance abuse, The Strange Case of Dr Jekyll and Mr Hyde is a classic horror novel that is well worth a read. First published in 1890, The Picture of Dorian Gray is Oscar Wilde’s only novel and is probably best described as a philosophical horror. 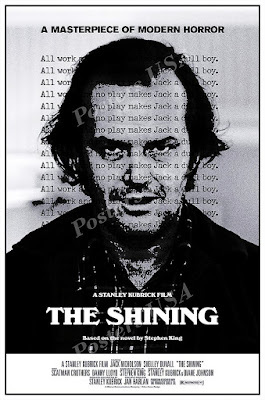 The horror classic was first published in short form in Lippincott’s Monthly Magazine and, despite the fact that the publisher had edited out some 500 words of the tale to tone it down a bit, The Picture of Dorian Gray still caused moral outrage at the time. The full length book was published in 1891. Dorian Gray is a handsome young man who has his full-length portrait painted by an artist called Basil Hallward, who is besotted with Dorian Gray’s good looks. Through the artist, Dorian Gray meets hedonistic aristocrat Henry Wotton and becomes enthralled by Wotton’s view of the world, Gray decides that sensual fulfilment and beauty are the only things worth worrying about in life. Realising that his own beauty will inevitably fade, Dorian Gray makes a wish that it will be the painting’s beauty that fades instead of his own, and that wish comes true. He then embarks on a life of debauchery and sin, the description of which was the cause of the moral outrage when the book was first published. The beauty of the painting begins to fade as it absorbs all the sins of Dorian Gray, but eventually there is a price to pay. The Picture of Dorian Gray is a mesmerising story of over-indulgence and horror that is seen as one of Oscar Wilde’s most important works. 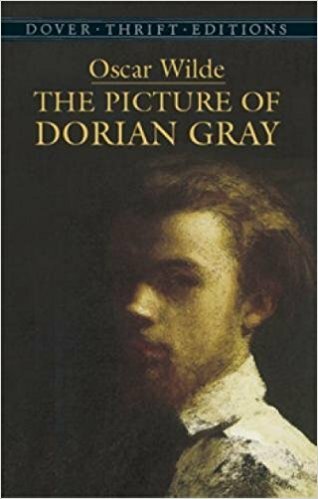 With its strong moral message and its social commentary, The Picture of Dorian Gray is perhaps a cautionary tale for all those who seek beauty and pleasure above all else. 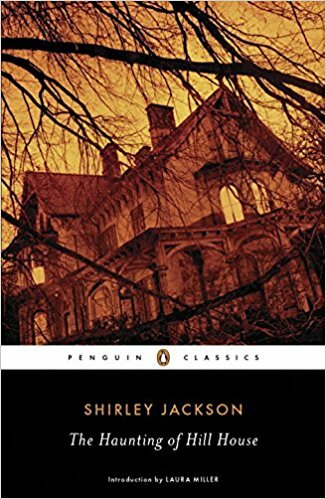 For a slightly more up to date horror classic, we have Shirley Jackson’s The Haunting of Hill House, a novel that has been called the prefect work of terror. 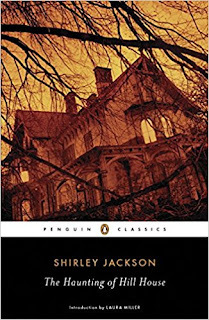 Published in 1959, The Haunting of Hill House was named by Stephen King in his 1981 book Danse Macabre as one of the finest horror novels of the late 20th century, but The Haunting of Hill House relies more on creeping terror than it does out and out horror. Investigator of the supernatural Dr John Montague invites three other people to stay with him at Hill House, an 80 year old mansion with a history of suicides, violent deaths and it is a house that is said to be haunted. As the novel progresses, all of the guests at the house begin to experience strange phenomena, including unexplained noises, ghostly apparitions, and strange writing appearing on the walls. 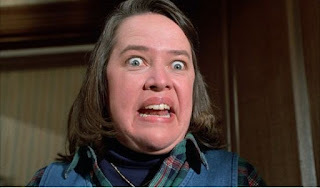 One of the guests, Eleanor Vance, experiences more of the phenomena than any of the other guests, and often it is just her alone that notices things. Is she losing a grip on reality, or is there something more sinister going on? In some respects, the plot of The Haunting of Hill House sounds like so many other ghost stories. You lock a group of strangers together in a haunted house and wait for things to happen. The Haunting of Hill House is not like all other ghost stories, though, because of the brilliant way that the story is told. There are no “Poltergeist” or “Amityville Horror” scenes in this book. 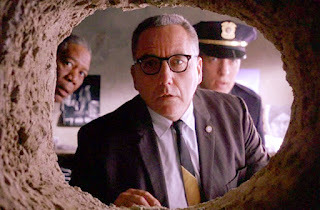 It is all hinted at and then left to your own imagination to fill in the gaps. 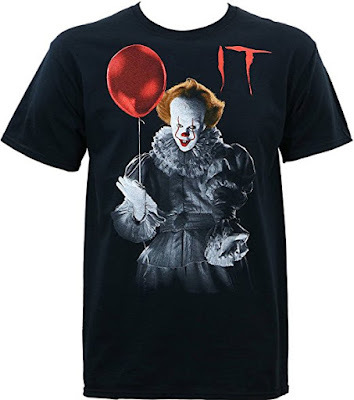 What you fill in those gaps in with is what makes the book so genuinely frightening. The Haunting of Hill House is truly a classic piece of horror literature and probably one of the best ghost stories you will ever read. 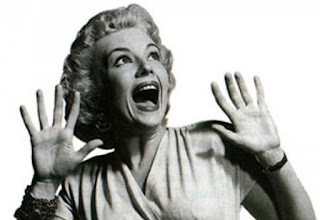 Things that go creak and bump in the night will never seem the same again after you have read The Haunting of Hill House. If you mention Vampires, then everyone will immediately think of Bram Stoker’s Dracula, but Dracula was not the first ever classic horror story to have featured the blood sucking, undead, shapeshifters. 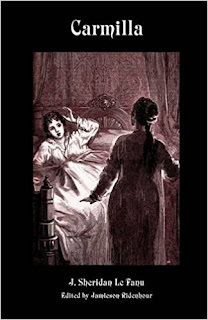 In fact, Joseph Sheridan Le Fanu’s tale of Vampires, Carmilla, predates Bram Stoker’s Dracula by 26 years. Possibly one of the oldest vampire stories, Carmilla, which was first published in serial form the literary magazine The Dark Blue in late 1871, tells the story of Laura, who had a vision of a beautiful visitor to her bed-chamber when she was six years old. Laura tells people how breast had been punctured during the visit, but no wounds were ever found. Twelve years later, there is a carriage accident outside Laura’s home and an apparent victim of the victim of the accident is a young girl called Carmilla, who Laura instantly recognises as the girl who visited her in her childhood vision. Laura and Carmilla become good friends, but Carmilla is prone to strange mood swings and seems to sleepwalk at night. As time goes by, girls in the local village begin to die of a mysterious illness, while Laura starts to have disturbing dreams about a cat like creature creeping into her bedroom at night and biting on her chest. Yes, we are firmly back in the classic Vampire territory now! Joseph Sheridan Le Fanu’s Carmilla introduced much of the Vampire folklore that has remained a part of the subgenre ever since, and the book is said to have influenced Bram Stoker’s Dracula. If it’s a classic gothic vampire horror story that you have been looking for that will draw you, slowly but surely, into dark places, then Carmilla is definitely the classic horror book for you. The Turn of the screw is a classic horror tale that is widely recognised as one of the most of the gripping ghost stories of all time and it is a story that has had scholars arguing about the true meaning of for many years. 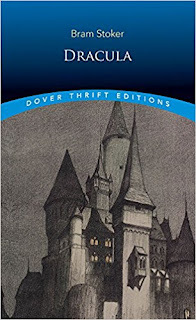 Originally published in 1898, The Turn of the Screw is a Gothic ghost / horror novella written by Henry James that has had people debating whether the strange and sinister happenings were really supposed to be supernatural, or just a figment of one of the character’s imagination. The story is told through a manuscript that has been written by a young governess who has been hired by a man charged with the care of his young nephew and niece. The man has no time at all for the children and he leaves them totally in the hands of the governess. While both the children are at home on the estate, the governess begins to see the figures of a man and woman whom she does not recognise wandering around the grounds unchallenged. The governess learns that her predecessor, Miss Jessel, and Peter Quint, another estate employee, had an affair and later died, leading the current governess to believe that the two strange figures are the ghosts of the two dead employees and that the children have been hiding something from her all along. In the end, we never know for sure whether the ghosts are real or if the whole thing is a fabrication invented by the governess. The ending, rather than answering that question, merely raises even more possibilities. 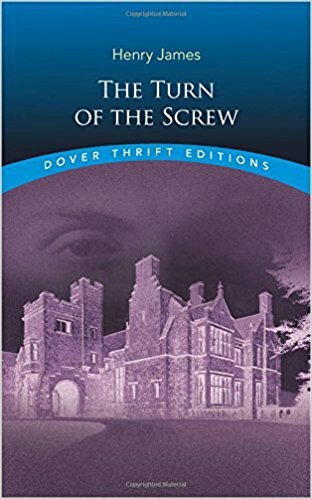 The Turn of the Screw is a masterpiece of Gothic horror fiction that has frightened and delighted readers in equal measure for more than a century. It’s the perfect classic horror book for those who like a story that raises many more questions than it answers. 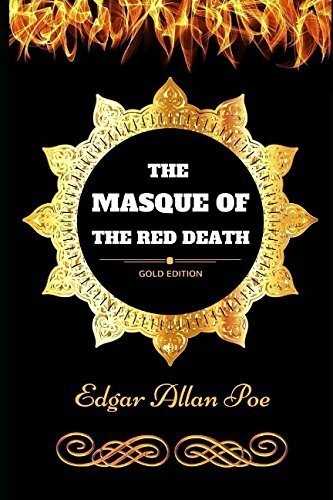 The Masque of the Red Death by Edgar Allan Poe is a short horror classic that was first published in the May 1842 edition of Graham's Lady's and Gentleman's Magazine. Many of Alan Edgar Poe’s gothic horror stories have been adapted to film over the years, including The Pit and the Pendulum, The Fall of the House of Usher and The Tell-Tale Heart. The most famous film adaptation of The Masque of the Red Death is the 1964 movie starring Vincent Price. 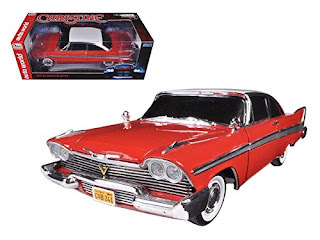 When a terrible plague known as the Red Death sweeps across the land, Prince Prospero and his wealthy noble friends hide away inside what they think will be the safety of a walled abbey. Totally indifferent to the suffering of the ordinary folk outside, they weld shut the doors of the abbey and prepare to wait out the plague in the luxury and safety of their refuge. Prospero decides to hold a masquerade ball inside the abbey. At the stroke of midnight, a strange, corpse like, figure in a blood spattered robe is seen wandering through the various rooms of the abbey. Prospero confronts the figure with the intention of unmasking it, which turns out not to have been the best move the rich prince has ever made! 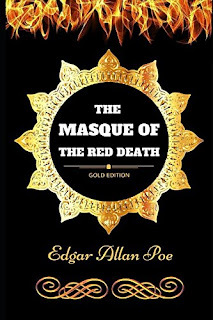 The Masque of the Red Death is Poe at his macabre best. It’s a very short story and it is certainly not an action packed horror story. It’s quite obviously a comment on the attitude of the rich to the poor, and more importantly, on the indifference of some people to other people’s suffering. It has been suggested that the abbey that the nobles hide away in is more of a prison than it is a refuge. The Masque of the Red Death is a classic gothic horror story with the message that no one, not even the wealthy, can escape death. A doctor seeking to open the mind to the spiritual world performs brain surgery on a young woman named Mary as an experiment, but when the woman wakes up she is utterly terrified and soon turns into a blithering wreck. Some years later, a sinister girl named Helen Vaughan is found living in the woods. The local townsfolk blame the strange woman for a number of mysterious happenings in the town, including a young girl’s disappearance. Helen disappears for a while, allegedly taking part in orgies, but she reappears in London living under a pseudonym. When Helen’s true identity is discovered, she is persuaded to hang herself, at which point we learn how the experiment to open a woman’s mind has had far more sinister consequences than had been imagined. Right from the horrific brain surgery at the beginning of the story, to the twist at the end, The Great God Pan is a classic dark Gothic horror written in the language of the 1890s. Rather amazingly, one of the negative reviews of The Great God Pan on Amazon criticises the book for being “Old School”, and another one called it “Antiquated Writing”. 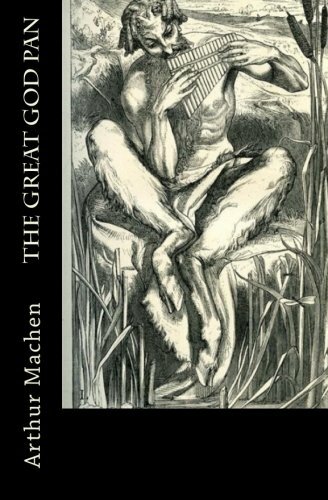 Seriously, if you want a modern horror novel written in a modern style, you read Stephen King or Clive Barker, but if you want to stretch your mind and read a classic horror tale, then Arthur Machen’s The Great God Pan is a great place to start your Gothic horror journey. HP Lovecraft’s At the Mountains of Madness is a science fiction / horror novel that was first published in serial form in 1936 in the American science-fiction magazine Astounding Stories. 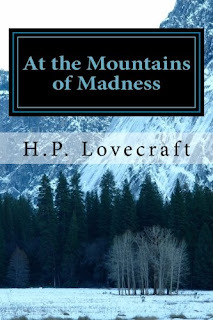 The work of HP Lovecraft has influenced many of the modern horror and science fiction writers, including Stephen King, and, in the case of At the Mountains of Madness, you will find many similarities between this HP Lovecraft horror classic and the Alien series of films. In fact, the similarities between the 2004 Alien Vs Predator film and HP Lovecraft’s At the Mountains of Madness will be immediately clear, even from just this very brief synopsis of the Lovecraft novella. The story of At the Mountains of Madness is told in the first person by a William Dyer, a geologist who was a member of a scientific expedition to Antarctica. 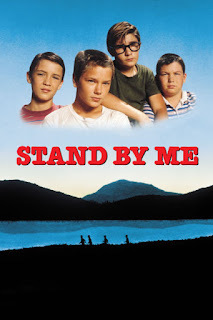 He tells how an advance party of the expedition discovers the remains of some strange prehistoric life-forms that cannot be identified as either plant of animal and how the main party later find the advanced party dead, apart from one man, who they assume must have gone mad and killed the others, and a number of the prehistoric life-forms appear to be missing. Dyer and a graduate student, named Danforth, later discover an ancient city where they learn through learn through hieroglyphic murals how an alien race Dyer calls the “Elder Things” came to the earth and built cities and how the Elder Things fought with two other alien races that came to earth later. The murals also warn of an unnamed evil that lurks within a mountain range. HP Lovecraft’s At the Mountains of Madness is book about exploring the unknown and it paved the way for many other stories about alien astronauts, or even “Engineers”. If you want to know why HP Lovecraft is often referred to as the father of the modern horror novel; read At the Mountains of Madness.